Mr. Alwash implies in his statement to the folk of eastern Ghouta that unity is achievable exclusively under his leadership, and that for civilians to try to form administrative and regulatory frameworks by their mutual consensus transgresses his authority and harms the public interest. We, the undersigned, we find it is our duty to reject any attempt by any party to impose authoritarianism upon decision-making and upon the work of citizens. We also reject that compliance with any institution not elected by the people, no matter how powerful or wealthy the institution, be rendered a benchmark for the public good or a gauge of patriotism or an indicator of the ability to perform civic duty today. It behooves those who possess power and authority in eastern Ghouta today to use them tirelessly to defend the people of Ghouta and to defend their free and independent decision-making, their freedom, and their difficult, bloodsoaked, daily bread—rather than to muzzle their voices and accusing of treason anyone who wants to play a role in helping them. We in this statement commend the efforts of the civilian entities of Douma, and its expanded Council, and endorse it, just as we endorse every independently established civilian body created by free people in any part of Syria for the purpose of helping folk to live and to be free, defending not only their lives but their agency in decision-making. 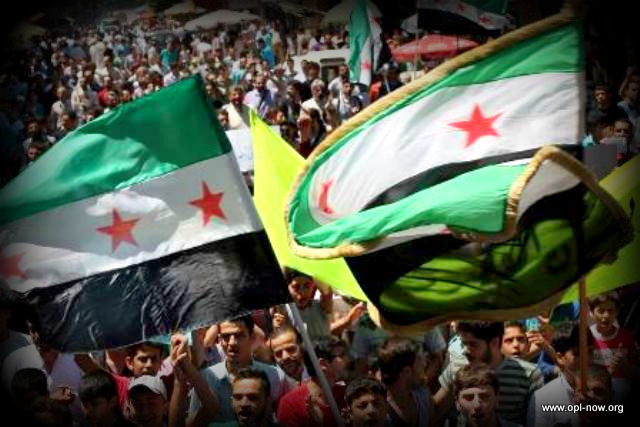 And we pledge ongoing collective work in order to achieve the objectives of the Syrian Revolution, those being the demise of tyranny and the liberation of human beings. We further call upon Mr. Zahran Aloush to moderate his tone of threat and his tone of browbeating with the treason charge. And we call upon him to return to the Revolution and to the people of Syria, as one of them, upholding them and making sacrifices for them, and to listen well to their will and respect it, for the people of Syria will not brook bullying or authoritarianism, even as they earlier refused to brook humiliation.